Yes, I know, it's a strange question to pose. Will the massive global awakening, which is now seeping into the consciousness of entire countries and political leaders, render the truth movement obsolete? Here's an argument for why it might. To understand how the Truth Movement may become obsolete someday soon, we need to take a stab at defining what truth is then go from there. Let's therefore look at truth from different angles (what it is and what it's not) and see if we can paint the full picture of where we stand today. First, I believe truth is a powerful force which has a mind altering effect on human consciousness. This kind of talk is foreign, perhaps even exaggerations, lunacy or nonsense to some people who are plugged into the matrix of lies, but our intention is to look far beyond the narrow-sightedness of the blind sheep and boldly stare into the big picture, the light of truth and consciousness, which is ultimately what we are- active real-time consciousness. Before we go on about what truth is, let's look at what truth is not and how truth has been dragged through the mud in our modern day Orwellian society particularly in America. Truth is not, as western Orwellian consciousness would have you think, simply a matter of expression of personal opinion or perception. Truth is not about believing what you see in the mainstream media. Truth is not about learned helplessness as you accept government paradigms telling you to be afraid and to keep it real. Truth may include segments of these dark realities but truth is far more than any government or its engineered consciousness would have you think. The expression of truth is not limited by Right versus Left, or by exhausting linear political and ideological debates between people to see who "wins" the argument. Truth is not determined by what political party or nation-state you support. All of these factors lead to- 'my truth versus your truth' illusions, and gets us nowhere. Sadly, many conditioned, TV-watching dumbed-down Americans think that truth exists within their personal view of the world which they take such intimate ownership of. Too many Americans cherish their personal opinions and paradigms like it's a sacred and treasured piece of jewelry they must protect. These typical Americans think truth is infinitely debatable and it's whatever you see as truth. They think truth is whatever fits your personal reinforced beliefs, thus in essence they believe there is no real independent truth and all is subjective. This "subjectivism" thus acts as the enemy of truth. The illusion of conditioned and reinforced subjectivism which we see too often today (especially in America) is fostered daily by the mass media and Hollywood. It (reinforced subjectivism) trivializes the bigger picture, shunts knowledge, stifles intuition, shuts down the process of personal discovery and learning, and pulls the individual into a deeper and deeper false (subjective) paradigm, i.e. it sinks you into a deeper state of lost aimless consciousness. A state of mind many refer to as the zombie phenomenon or on a broader scale many see this as the coming of the second dark age. This reinforced subjectivism which is so prevalent today in America, allows people to develop a custom perceived version of reality to fit their already reinforced paradigms. Unfortunately, this process actually works to strengthen their subjective belief system, harden their opinions, and make them feel even more sure of themselves. Yes, this process actually strengthens and solidifies their state of disorientation to truth! Like carrying a survival backpack with you in the woods. You do it because you know that inside your backpack you have many key items you'll need to survive in an emergency. Likewise, we now see disoriented dummies living in a purely subjective world, constantly reinforcing their own state of deception and detachment from truth by tapping into Hollywood movies, TV shows and mainstream media news to keep themselves in this state of illusion. Yes, this is scary and sad stuff! These engineered and reinforced false paradigms (like a sown seed) require constant nurturing and reassurance. This is where mainstream media and government (Intelligence) propaganda come into play to ensure the propagation of this permanently confused mentally inebriated state. Even more sadly, this American western propaganda-infected consciousness operates on a blend of ignorant linear pre-programmed logic which works hand in hand with the typical American TV-watching hypnotized-thoughtless state of mind (flicker rate and all). From the narrow-minded world of thinking life is all about making money, or being obedient to government to avoid punishment and prosecution, to rooting for your favorite team and thinking this is the meaning of life. From thinking the answers are found in Republican versus Democrat ideologies, or thinking that truth comes from understanding the true mission of the U.S. military- truth and consciousness itself has nothing to do with any of these memes. This across-the-board trivialization and misunderstanding of truth is very much part of the diseased mindset that we see today in the American Orwellian society. In this diseased society truth is narrowed down to "yeah right", or "that's YOUR opinion". Subjectivism combined with 24/7 propaganda is one of the main reasons humanity is mentally diseased today as evidenced by the self-inflicting wounds it is bestowing upon itself every day at the hands of the globalists control freaks. What self-inflicted wounds am I talking about? Humanity today is actively killing itself with wars, hate, staged aggressions, lies and propaganda. Humanity is giving itself cancer, happily consuming all the toxins sold to it by the Corporate-Government control freaks via GMO foods, vaccines, fluoridated water, cancer and disease-causing products, environmental toxins, daily atmospheric contamination with dangerous aerosolized metal particles. 24/7 TV signals are attacking the species with all its mental pollution, lies and propaganda that thwarts the human's ability to live a healthy life. Above all, humanity has forgotten how great it is and what it's capable of. And humanity allows its most precious body organ (the brain) to be contaminated with government fear and propaganda every single day. Is it any wonder why the species is dying, literally? What am I talking about? Does all of this sound crazy? I'm talking from the point of view far above humanity itself. This birds-eye view of the species acknowledging things that are indisputably observable is absolutely essential when one is looking for truth. It is the polar opposite of subjectivism. So what IS truth and how can we speculate that the truth movement may become obsolete over time? Truth is the correct accounting of the unbiased reality that surrounds us every day. Truth is what you see when you adopt a bird's-eye view of the process and events of our lives as we respond to events imposed on us. Truth is unrelated to political views, biased religious beliefs or government and mainstream media propaganda. Truth, instead is the correct documentation of events which actually happened and acts as the pillar by which all other claims are measured by. 1- We can reject truth by ridiculing it, resisting it, or ignore it. 2- We can realize or acknowledge truth. This is more a phenomenon than something you do voluntarily. When you realize truth that already exists, I believe you experience a physiological and biological response to that acknowledgment of truth. This physiologic transformation that accompanies the acknowledgment and realization of truth is similar to a religious experience. 3- Having realized truth, the only other thing you can do is take action based on that realization. That is, you can align yourself with the truth and then seek to stay aligned. Meaning changing or adjusting your behavior or personal actions to line yourself up with the realization of truth. Realization of truth builds on itself. It has a cascading effect and it is fostered by intuition, knowledge, understanding, and wisdom. All of these help improve the absorption of truth into your life. Since we are all human however, it is still possible to be deceived and to be steered away from truth. For that reason one must be vigilant and actively seek to stay focused and aligned with truth. With the help of these fostering factors, truth thankfully has a way of pulling you back toward reason and truth. Truth is also not a respecter of persons or ideologies. It simply is. Yes, I suppose you can think of truth as a type of god. Wasn't it Jesus himself who (according to Bible and Christian belief) said 'I am the way the TRUTH and the light'? Many have died for it, many will die for it in the future. Truth, when realized, sets the stage for strife, tension, opposition and the battle for human consciousness against those still living in the matrix of lies and those still willing to defend the control system. Remember that the enemies of truth are always working hard to discredit truth and slander anyone that gets in its way. This dual (rewarding and tumultuous) quality about truth, constantly being fought for and constantly exposing lies and thus altering paradigms, has made the process of awakening to truth a much more dramatic experience that allows a person to obtain a higher level of consciousness (I believe). That is why those that realize truth, also realize how truth will set you free. That is, mentally and spiritually free. Truth will also empower you as you search for the words to deliver to those in darkness, the darkness of ignorance. Enough cannot be said regarding the power of truth. With this comprehensive view of truth and with truth being so powerful, you may wonder what does the "truth movement" have to do with any of this and why there is a chance the truth movement will actually be rendered obsolete some day. This may indeed be the case and here's why. 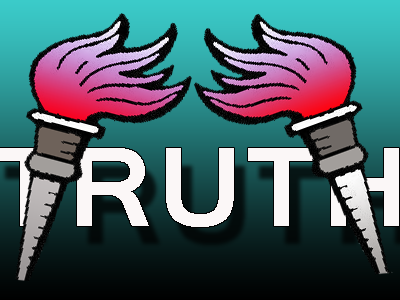 The so called "truth movement", I believe, is and has been all along, just a glimpse of what truth is all about. The movement is only an outward expression of the borrowed concept of truth which was born (arguably) as a result of the 9/11 truth movement. The control system rolled the dice on 9/11, either underestimating that a truth movement (phenomenon) would rise as a result of the awakening to the globalist lies, or they (the controllers) knew the truth movement would rise and they decided to take on truth consciousness and do battle with the movement for as long as it takes, in hopes of actually overcoming truth and enslaving humanity forever. Either way, the so called truth movement gave rise. It's the modern day expression of the quest for the accurate public expression of an event, the quest to see it told the way it ACTUALLY happened. As simple as it sounds, this is at the heart of the truth movement when you strip away all the emotions of anger and desire for justice which surrounds the truth movement. At its inception the truth movement in other words, borrowed the concept of truth and applied it to the events of 9/11. Since 9/11 however, the truth movement consciousness has grown far beyond 9/11 and has (thanks to the work of many truth seekers and political activists) grown into a worldwide awakening and awareness of the globalist criminals and their long term plans. Many people who didn't consider themselves part of the "truth movement" discovered many other things about the actions and intent of the criminal elite. This knowledge kept spreading since 2001 and today a vast amount of knowledge has spread many times over around the globe pulling people from all over the world into this larger overall political awakening. Thanks largely to the power of the internet, humanity is now fully aware of the truth of many things beyond just 9/11 that it once otherwise had no clue about. All of this has been made possible due to the power of the internet, human curiosity and intuition and the spark that seemingly began this awakening known as the (9/11) truth movement. Because of the internet and the subsequent global awakening, humanity is now swimming in knowledge it never had easy access to before. This knowledge and information about the world we live in can no longer be contained or quarantined. The Jeanie is completely out of the bottle now and it will be impossible to put back in. Ultimately, in the greater picture and in the far distant future, the truth movement will be looked back upon and acknowledged as a remnant (truth) expression of humanity which was required at the time to spark the needed long term permanent change for the future of the species. Interestingly, to those of us involved in the truth movement for so many years it feels like we own this movement but again, this is another subjective illusion many of us are under. No one created the truth movement, it was an expression of humanity that occurred in an attempt to protect the species from the damage that was being set out for it by the controllers. Think of the truth movement (expression of humanity) as the informational immune system of the species. Now consider how orderly nature is. Consider how many cells are in your body and how these cells all work together. Likewise, we as a humanity have the capability to work together against this smart and nefarious enemy constantly dishing out disinformation and lies. Yes, the globalists cultists would have you think that life is about chaos, hatred, fear, murder, terrorism, war, agony, and government control. But that's because government consciousness knows nothing else. As I've mentioned before, this competition between government consciousness and human consciousness is an old battle that has been going on for thousands of years. Today we are seeing the same ongoing mental and spiritual battle going on. In the bigger picture, the truth movement was but a small moment in time compared to truth itself. Because of the power of truth and the amazing abilities of humanity to seek natural survival against the forces of government, what we are seeing is people waking up in many other ways (aside of 9/11). People all over the world are sick of what they are seeing the global banksters do. People are fed up with genetically modified cancer causing food, they've had enough of the Medical Industrial complex profiting from death and disease, and they've had enough of the Military Industrial complex creating wars, false flags and spraying our skies daily with chemical toxins. They see the torture, the endless wars, the lies, and the state propaganda go on and on and they've had enough. Many people who have never associated or identified themselves with the so called "truth movement", or have never been activists today find themselves part of the greater global awakening of truth. For this reason the global awakening is far out-pacing the original "truth movement" to the point where it is conceivable that the truth movement will soon be (if it's not already) forgotten and supplanted by the much greater global natural awakening to truth. That's because truth all along was a human thing. Truth is desired by all of humanity not just one group who woke up to the 9/11 crimes. Unfortunately for the truth movement, truth is not quite for sale and no one has a patent on it. Realizing this eventual path of global awakening, I believe those who identify with the so called truth movement should mentally prepare to share even give away this title as the world awakens. In fact, I look forward to being able to say "what truth movement?" as everyone starts sounding like "conspiracy theorists". In fact, we're seeing that already. We're seeing where the western government and media propaganda machine has already accused entire countries and leaders of nations like Russia, Iraq, Iran, Malaysia, North Korea, Syria, and others of speaking "conspiracy theories"- Yeah right! Remember back in the days when "conspiracy theorists" were supposed to be the lone wolf lunatic weird guy in some basement in nowhere USA? Now entire nations are sounding like truthers and "conspiracy theorists". This is a sign of the global awakening we speak of. So while the truth movement is still considered to exist, let us remember what it was like and what it was all about. Remember that at no time in history has truth been contained exclusively by one group. Truth always was and is a growing natural process. Seeking truth may be seemingly limited to certain individuals at first but (as we have seen in the last 13+ years) truth ultimately spreads and nothing in the world can truly stop this process. Keep that in mind as we cautiously progress through 2015, a year already shaping up as a challenging year packed with false flags and aggressive "ministry of truth" mainstream media propaganda. Let's keep this natural process of truth in mind as we all confront an angry, desperate and dying global empire.